At the top of its hype cycle, Artificial intelligence (AI) is transforming the energy landscape, revolutionizing how solar assets are managed, operated and maintained. The ever-expanding global capacity of solar PV combined with the growing disparity of these assets have made the job of an asset owner only more complex. There are substantial financial and efficiency gains to be made in using AI-driven solutions. 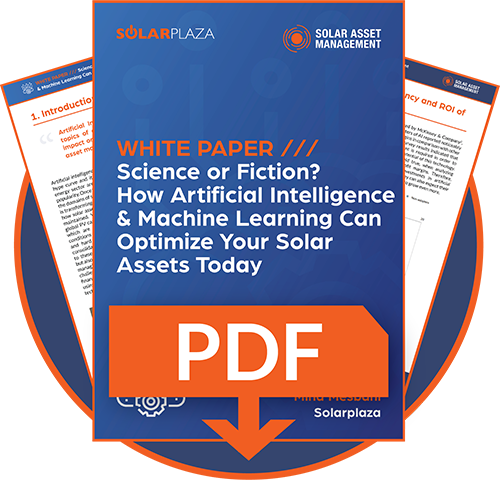 Moreover, as AI technology advances and becomes more ubiquitous, it is incumbent on every solar asset owner to answer the question of how this technology will disrupt the industry and can benefit their portfolio.